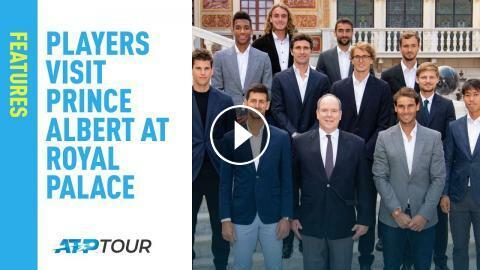 This week, the ATP Tour's elite will vie for the coveted trophy at the Rolex Monte-Carlo Masters, with glory in the Principality on the line. But first, a select group had the privilege of being received by H.S.H. Prince Albert II of Monaco at the Palace.